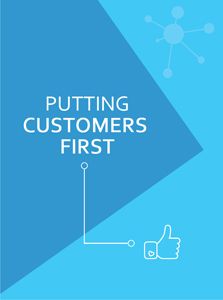 If your priorities include connecting your business data, implementing smarter processes and doing more to delight your customers, we will help you achieve your goals through Dynamics 365 Customer Engagement and Microsoft Business Apps. Working with small and medium businesses, charities and enterprise teams, we promise you'll receive a personal, friendly service whatever stage you're at in your CRM journey. With a flexible, down to earth approach we'll share straight-forward recommendations based on a clear understanding of your unique business processes and challenges. 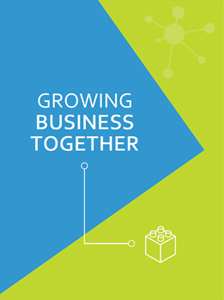 Working exclusively with Dynamics 365 and connected best of breed solutions, we offer you the reassurance of working with a top ranked Microsoft provider that will help you reach positive outcomes with your CRM project and support you for the long term. Based in Berkshire since 1994, Preact offers full UK coverage. With more than 25 years of CRM implementation experience we have been asked most questions and delivered projects to fulfil numerous requirements. Phone us now or request a call back to learn more about our approach and discuss your requirements. We view CRM as an integral component in your wider culture and an embodiment of your technologies. Through closely integrated solutions including marketing automation, ERP and web portals we'll connect your teams to a single data source. Get access to CRM insight and expert Dynamics product knowledge for all requirements including project scoping, database development, training and technical support. If you are planning to implement a new solution, you or want to achieve better results with your existing system, Preact will help you advance your business with Dynamics 365. Our clients and reference sites span numerous industry sectors. From charities to IT consultancies, from high street retailers to some of the UK's most prestigious Universities, from small owner run businesses to global organisations, we have broad experience with many strong client reference sites who advocate our services. Beginning with a detailed scoping consultancy we'll fully define and document your requirements. A scope led approach is recommended if your project requires external integration, if it involves multiple custom entities, or complex processes. Our Quick Start packages include all the essentials to complete your initial cloud CRM deployment in just a few days. Beginning with high-level scoping we'll customize Dynamics 365 to fit your processes and we'll deliver this as a fixed scope, fixed price service. Go live with Dynamics 365 now and pay monthly with a low, predictable subscription. We'll provision CRM in the cloud, apply our sales-optimised template and provide free web training and phone support so you can hit the ground running. We have an excellent record of working with businesses who have self-implemented Dynamics, or worked with another provider, but aren't seeing the expected results with a tried and tested system take-on package. Combining CRM technical consultancy expertise and product knowledge to quickly resolve issues, minimise downtime and share insight. Our talented team of Microsoft accredited consultants are excellent communicators who will do their utmost to make sure that your goals and requirements are expertly achieved. To assess the success of your project, specific goals and measurable results matter. We start every implementation with the end in focus to define your success criteria and apply regular checks to ensure progress remains on track. User adoption is fundamental for success but this is a frequently encountered obstacle. We recognise that every system must meet the needs of its users so we place user empowerment at the forefront of every Dynamics implementation project. We don't operate a traditional sales team - we are all consultants with a solid CRM background and Dynamics 365 product knowledge. We won't bore you with a meaningless presentation but instead focus on the things that matter most to your business. We'll adapt to fit your priorities, timelines and budget with flexible implementation options. We run our business as an efficient operation, and in turn pass these savings onto our clients, so you'll receive the best possible service at a highly competitive price. We seek to develop close, mutually beneficial, long-term relationships with all our clients. Use our managed service to phase the next step of your project, broaden in house skills, quickly implement changes and gain greater value from the technology. To make it to the gold certification level, a company must meet several requirements which includes having a portfolio of successful projects and a certain number of developers on staff who’ve passed certification exams. This demonstrates the best-in-class capability within a specific Microsoft solution area. 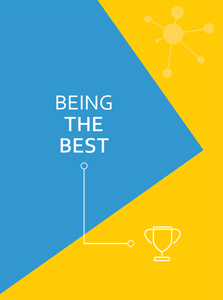 Microsoft designates the best performing firms the status of Managed Partner which gives us access to Microsoft's team including commercial and technical solution specialists. Through this we have a direct line to insider information on upcoming events, product updates, new releases and promotional deals. In working with a Gold provider you can expect to receive the highest level of expertise and technical support available. This includes an ability to solve complex issues or challenges, which your business may encounter when implementing, integrating and developing Dynamics 365 solutions. You get better support: as we get access to Microsoft support on-demand. If a client's system has gone down or is experiencing a major issue, we will be able to provide advice directly from Microsoft. You get real expertise: Microsoft expects its Gold partners to know their stuff in helping clients implement sustainable solutions and get the most from their technology. They are required to demonstrate understanding of their specialised field and are at the cutting edge when it comes to extending and developing Microsoft products. You benefit from our training: We get access to the latest Microsoft learning resources and tools so all that technical expertise gets fed back to you. Informed advice: By staying up to date about the latest Dynamics 365 news and future plans helps us share insight and give you the best advice for the future which is reflected in our consultancy, product licensing, user training, webinars and blog updates. We built our company from the ground up to specialise in CRM and our focus has never changed. At the heart of Preact's culture sit our core values. Our commitment to these is central to the way we behave both with each other, and with our clients - it's the difference between good, and wow! From our humble beginnings 25 years ago, we've grown from an underdog start-up to a respected CRM consultancy that is trusted by small and medium sized firms to help them achieve their growth aims.